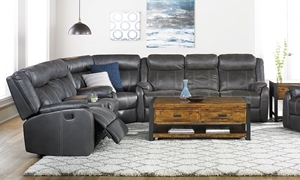 Oversized sectional in high-grade fabric features three recliners with wide seating, USB charging, storage console and cup holders. 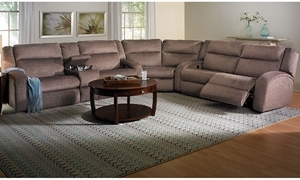 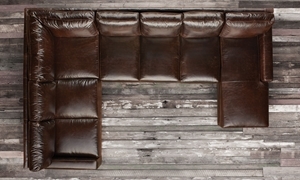 Modular sectional crafted with hand-finished Italian leather over deep seating supported by 8-way hand-tied coils. 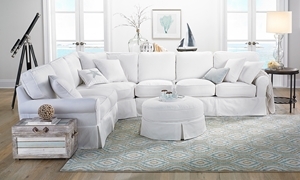 This upscale modular sectional features an all-natural cotton slipcover, sumptuous down blend wrap, and deep 44-inch seat cushions. 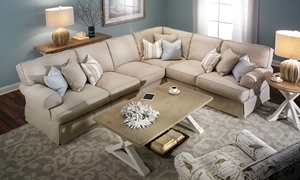 Charcoal gray sectional offers four wide reclining seats, as well as cup holders, a drop down table, storage console and hidden drawer. 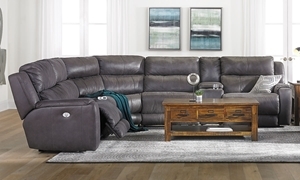 Oversized sectional with storage console features 3 power reclining seats with power headrest, full chaise design and USB charging. 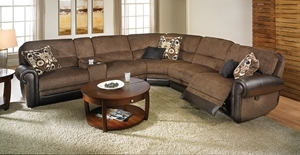 Power reclining sectional features memory foam cushioning, lay-flat position for sleeping and storage console with cup holders. 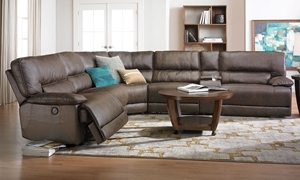 Storage sectional upholstered in menswear-inspired fabric and bonded leather features two extra wide power recliners and a manual recliner.